In classification, when the distribution of the training data among classes is uneven, the learning algorithm is generally dominated by the feature of the majority classes. The features in the minority classes are normally difficult to be fully recognized. In this paper, a method is proposed to enhance the classification accuracy for the minority classes. 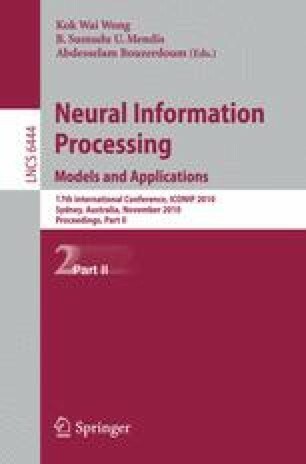 The proposed method combines Synthetic Minority Over-sampling Technique (SMOTE) and Complementary Neural Network (CMTNN) to handle the problem of classifying imbalanced data. In order to demonstrate that the proposed technique can assist classification of imbalanced data, several classification algorithms have been used. They are Artificial Neural Network (ANN), k-Nearest Neighbor (k-NN) and Support Vector Machine (SVM). The benchmark data sets with various ratios between the minority class and the majority class are obtained from the University of California Irvine (UCI) machine learning repository. The results show that the proposed combination techniques can improve the performance for the class imbalance problem.